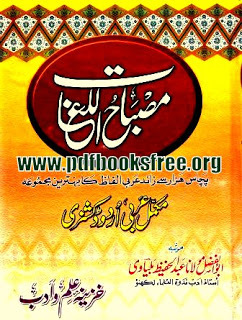 Misbah ul Lughat Arabic Urdu Dictionary By Abul Fazal Maulana Abdul Hafeez Bayavi. Misbah ul Lughat is a complete Arabic to Urdu dictionary contain latest Arabic words meaning and definition in Urdu language. You can read online and download this Arabic Urdu and Urdu Arabic dictionary in Pdf format for offline use.